One thing you might not know is that cats age fastest in their first two years. After that, they slow down a bit, but they still age faster than humans. Obviously, with aging, there are often physical changes that can lead to diseases common in the feline community. As your cat ages, it’s important to pay attention to behavior changes as they can be the first sign of a budding health issue. Senior cats are often at risk for diseases like arthritis, dental disease, diabetes, thyroid or kidney disease. If caught early, you can minimize your cat’s discomfort and your vet can help you make an effective treatment plan. One way to spot potential health problems is noticing a behavior change in your cat. For example, when a friendly cat becomes irritable or withdrawn, this could be signal that your cat is in pain or not feeling well, and it’s time to make a vet appointment. One of the best things you can do for your cat is to ensure he or she has regular veterinary care. We recommend a veterinary exam every six months for older cats. In cat years, six months is equal to four or five human years, so it’s not as frequent as it sounds. Regular evaluations mean we can stay on top of any changes and catch potential health issues before they become an emergency. Besides regular wellness visits, there are simple lifestyle changes you can put into place so your cat feels cozy and well cared for at home. Provide warmth - You probably already know that kitties like to curl up in warm places, so make sure their favorite resting places are warm and not drafty. Make it easy -- on your cat. If she has arthritis and finds it difficult to go up and down stairs, why not put a litter box on each floor. Groom -- As cats age, they can be less flexible and miss spots while self-bathing and -grooming. If you make it habit a gently brush Fluffy on a regular basis, you remove loose fur, stimulate circulation, and have the opportunity to check for any unusual lumps or bumps. If you find that your kitty has really fallen down on the self-grooming, that could be a sign of health issues, so please make an appointment to bring your cat in for an evaluation. Cushion the joints- older cats may have more trouble reaching a favorite shelf or sitting area because their joints hurt. Make it easy on them by providing steps or a low table, footstool or even a ramp that lets them access higher places with ease. 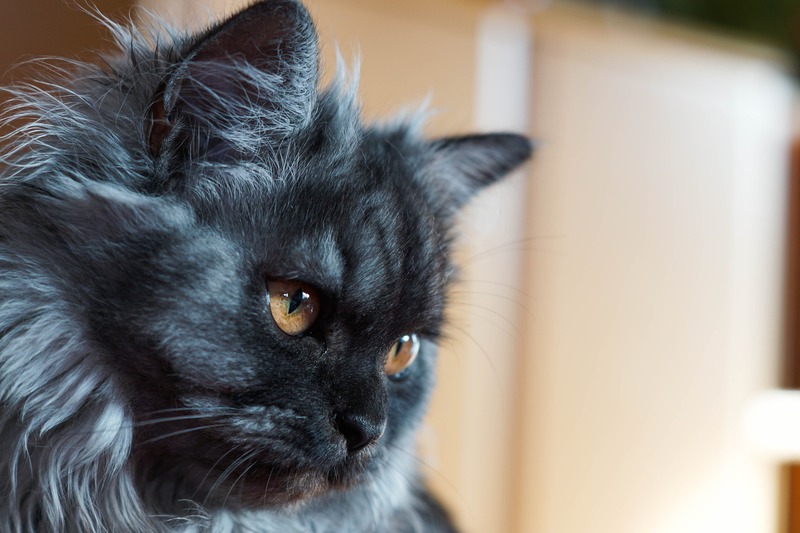 Keep your cat trim -- the sedentary life of the average senior cat often packs on the pounds. 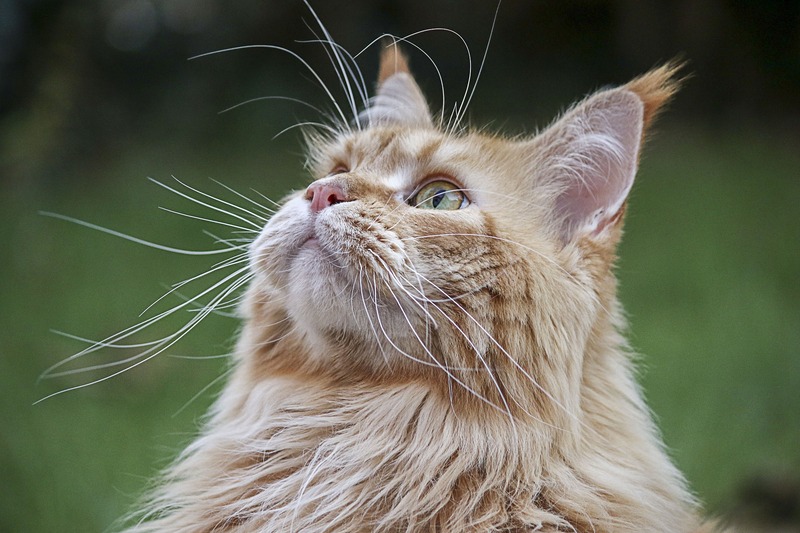 Unfortunately, excess weight leads to a host of health problems, including the potential for diabetes, so it’s important to help your cat get exercise and eat a moderate diet. Provide a healthy diet - while there is no “perfect” diet for senior cats, it is a good idea to discuss what you’re feeding and how much with your veterinarian. Of course, if your cat has kidney disease or other health issues, then your veterinarian will make recommendations based on your cat’s age and health. As you probably realized, your senior cat isn’t as playful as a kitten, and that’s okay. Senior cats still have a world to offer and plenty of snuggles for the years to come. Like any creature, they may be prone to health changes as they age, but you can keep them comfortable when you pay attention to their needs. Hopefully, you’ve gained a few ideas improve your cat’s quality of life, including that of bringing Fluffy in for a visit. Would you like to make an appointment?